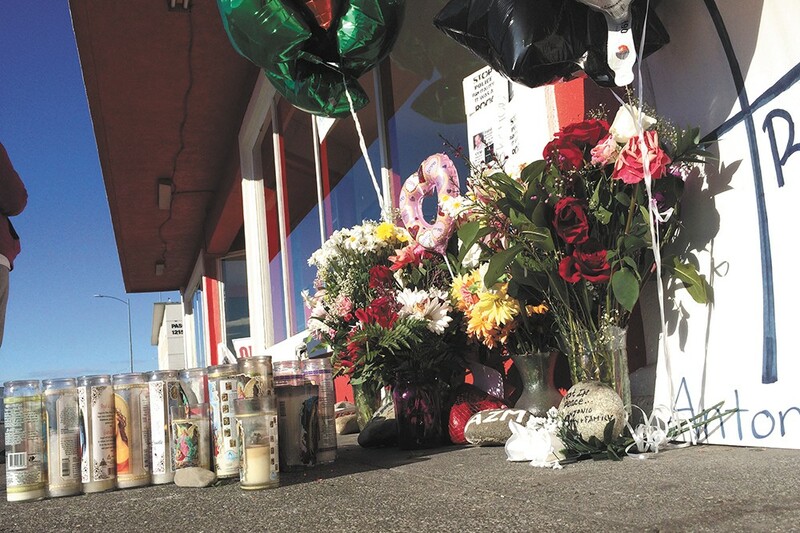 Pasco continues efforts to heal after the police shooting of Antonio Zambrano-Montes. When a supposed ISIS "hit list" went online last week, it featured the names and addresses of 100 service members located in more than 50 cities across 29 states and encouraged "lone wolf" ISIS supporters to kill them. In Washington state the list included addresses from Spokane, Seattle and Cheney. But in Idaho, there was only one city identified: Bonners Ferry, a town of less than 2,500. The FBI warned the Boundary County Sheriff's Department and the sheriff's department forwarded it to the city of Bonners Ferry. "All persons and locations that have been identified in the online media ISIS threat have been contacted and the appropriate safety measures have been taken," Bonners Ferry public information officer Mike Meier says in a press release. A story by the Daily Beast last week quickly revealed that at least two thirds of the names, photos and addresses on the list were culled from public sources, suggesting that the "The Islamic State Hacking Division's" claims to have "hacked several military servers" was likely nothing more than simple Googling. In the past few days, Meier's answered a lot of phone calls from law enforcement personnel and concerned citizens. But he says there hasn't been any more news locally about the threat. Representatives from businesses, labor organizations, churches and political advocates gathered at the Common Crumb Bakery on March 31 to unveil their path forward on getting a PAID SICK POLICY put in place in Spokane as soon as this summer. According to the Spokane Alliance, a coalition of faith and labor groups that's been active on the issue, there are about 40,000 workers in Spokane who lack paid sick leave. If everything goes according to plan, Spokane would join 18 other cities and three states that have some sort of policy mandating that employers provide their employees with paid time off to deal with illness. Jon Snyder and Amber Waldref, two progressive members of city council, plan on introducing a resolution this month that will create a work group gathering input for Spokane's sick leave ordinance that could be voted on this summer. Snyder says that the city council will also be examining the policies of other cities with sick leave policies, such as Seattle or Tacoma. A strong turnout for a multi-day community forum last weekend in PASCO has Felix Vargas feeling optimistic about the future of the police investigation into the fatal police shooting of Antonio Zambrano-Montes in February. Vargas, chair of the activist group Consejo Latino, sent a letter to the Franklin County prosecutor, Shawn Sant, last month demanding he remove himself from the case. "He has a conflict of interest," Vargas tells the Inlander. "He should not be on this case because he's too close to the investigation." Vargas also says Sant's former 21-year career as a police officer compromises his ability to review the Special Investigation Unit's report objectively and evaluate whether or not to bring charges. Gov. Jay Inslee, in response to the letter, says he will not tell the state attorney general to appoint a special prosecutor to the case, but he will reconsider the matter as the investigation wraps up, which won't be for another few weeks.